Rep. Chris Collins says HHS OIG should investigate the carrier's sudden failure. The sudden failure of Health Republic Insurance of New York has given Republicans in the Empire State a new chance to try to pry swing voters away from the Democrats. U.S. Rep. Chris Gibson, R-N.Y., who is regarded as someone who wants to run for governor in 2018, held a conference call with reporters today to say the state’s comptroller should investigate Health Republic’s collapse. 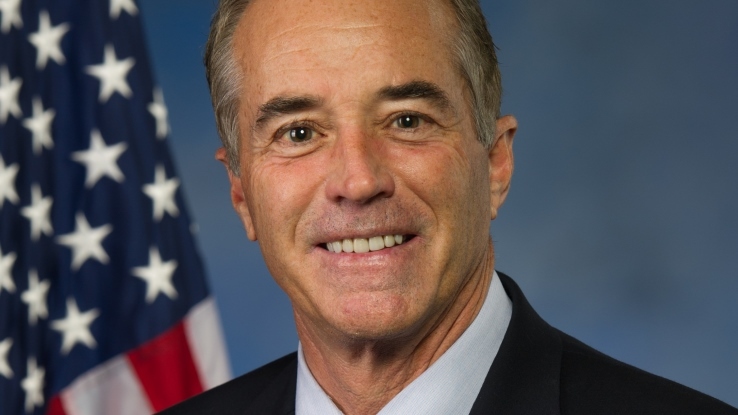 Rep. Chris Collins, R-N.Y., said today during a House hearing on the recent wave of Consumer Operated and Oriented Plan (CO-OP) carrier failures that he will, as the U.S. Health and Human Services Office of Inspector General (HHS OIG), investigate Health Republic. Drafters of the Patient Protection and Affordable Care Act (PPACA) created the CO-OP loan program in an effort to increase the level of competition in the health insurance market, and to bridge the gap between Democrats who wanted to make a government-run health plan available to all Americans and Democrats who preferred to maximize commercial health insurer involvement in the health care finance system. Some of the strongest supporters of PPACA signed up for CO-OP coverage, in part because they liked the idea of having coverage from member-owned plans motivated by something other than the goal of earning profits. But many CO-OPs lost money in 2014 and in the first half of 2015, and CO-OP managers, state regulators and officials at the Centers for Medicare & Medicaid Services (CMS) have put out similar notices in recent weeks saying some CO-OPs will have to wind down their operations because the PPACA risk corridors program — a program that was supposed to use cash from thriving PPACA exchange plan issuers to help struggling issuers during the first three years of the exchange system’s operation — has collected only enough cash from thriving insurers to pay about 13 percent of the obligations to the struggling health insurers. Most of the CO-OPs will shut down Dec. 31. New York regulators said that the New York CO-OP has proved to be in worse financial condition than it knew, and that the CO-OP will have to shut down Nov. 30. The CO-OP’s 200,000 enrollees will have to find a plan to cover them for December, and also, separately, enroll in coverage for 2016, officials said. New York state is asking carriers in the state to take in the former Health Republic individual enrollees through a special enrollment period (SEP), and give the December enrollees credit for any money they have already spent toward their Health Republic deductible, but small-group plan enrollees who shift to new coverage for December may get no credit for money spent toward the Health Republic small-group deductible, officials have said. During the House hearing, Collins said Health Republic of New York managers told him in 2013 that they had set premiums very low to gain market share, in the belief that the risk corridors program would compensate for low premiums. Freelancers Union, a group that has long tried to help New York state’s many writers, artists, filmmakers and other “gig workers” get health insurance and other benefits, helped start independent Health Republic brand CO-OPs in New York, New Jersey and Oregon. Freelancers Union has said that it cut off any ties to the Health Republic companies, once they started up, as required by CO-OP program rules. But many of the media-savvy, tech-savvy Freelancers Union members who had bought coverage directly from an insurance company affiliated with Freelancers Union ended up getting coverage from the New York Health Republic company, and they are now using Twitter and other social media services to complain about the need to find health coverage just for December. One user tweeted Nov. 2 that she’s been having nonstop problems with New York regulators and Health Republic since February. Another tweeted that the New York Department of Health had called her about the Health Republic shutdown. “Still no email, call or letter from Health Republic,” the user tweeted. Freelancers Union put out a press release to say it will provide a link for its members to the CareConnect private benefits exchange system. Insurers using the system will offer New York state SEP coverage for the former Health Republic enrollees, the group says.